Well, after my last Post I thought I should show something from Turkmenistan. Here are two pages (all I have left) from a small collection I assembled in the 1990s. The ENERDETIC cover was one of my favourites. 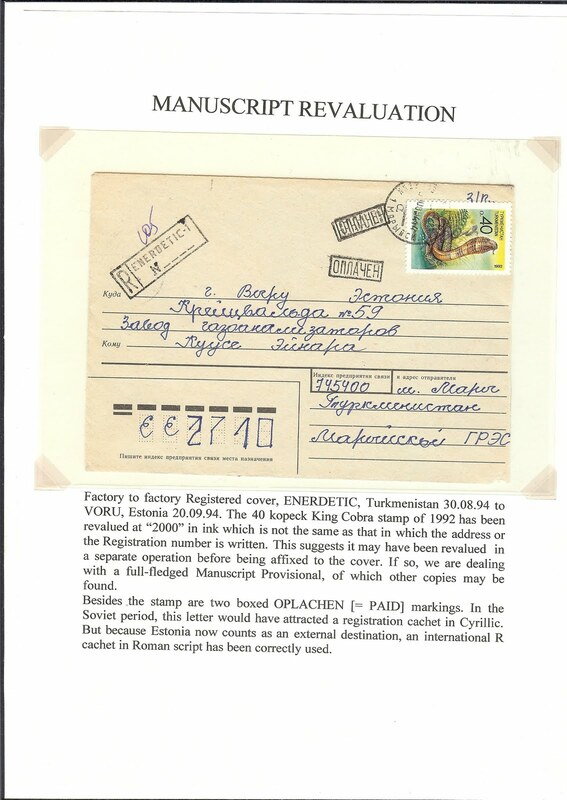 Just imagine the catalogue listing for this stamp! 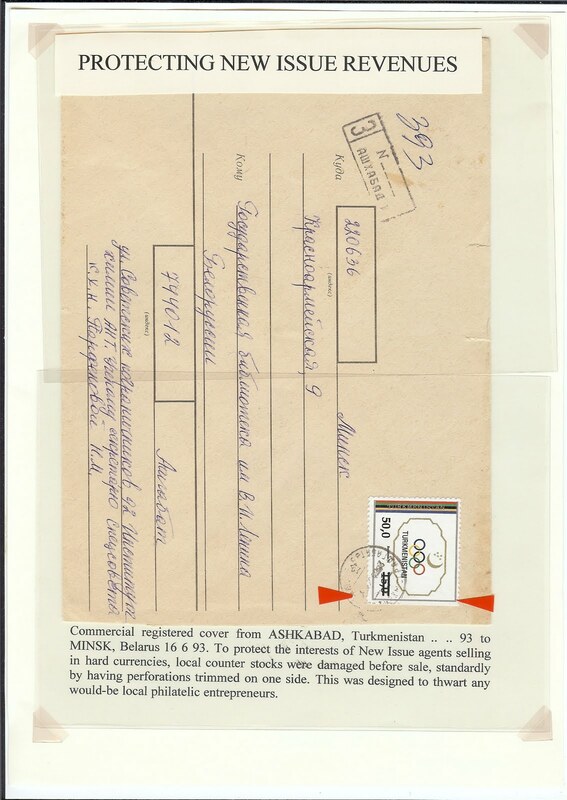 Like so much exotic material that I handled at the time, this one came from correspondence to the Voru Gas Analyser plant. 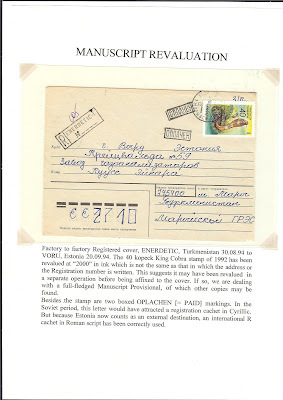 It is interesting, that still in 1998 year, they still use SSSR envelope with imprinted postage stamp of same. 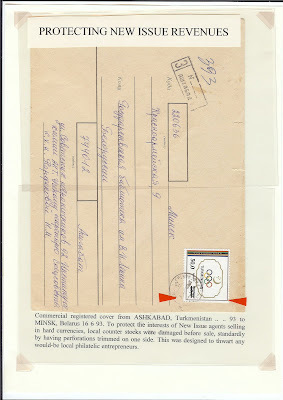 I have one used envelope with hand stamp of Turkmenistan, more than 6 year and unable to distribute own postage stamp around every post office?